I enjoyed reading this book and comparing the story/plot to that of the film. The writing is a little dated and very wordy, if you can get past this it is a good and interesting read. Fenimore Cooper knew his subject. He lived in interesting times, when the French were in charge of Canada and still a threat to the American Colonies. It's a good story. However, I found the flowery language a challenge, though ultimately a rewarding one. 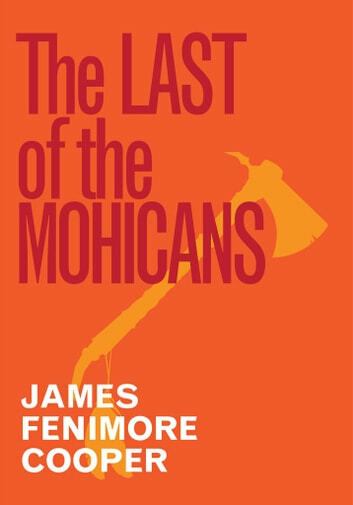 Whethr Indian, French or English, The Last of the Mohicans interweves the nobilities and treasons of each society. Brilliantly adapted to the times of pre-national struggle, the tale is set in a time when the continent is starting to be colonized, great nations displaced and treaties agreed to that test honour and tradition of both European and Indian value. The character of Hawkeye is caught between both worlds. Love, war, betrayal, vengeance, honour and politics are all touched upon in the most plain but elegant of ways. Truly a novel that everyone should read and is better for, having done so. Read this and try and imagine what the American wilderness must have been like before it became shopping malls and office blocks. Great read. The book was wonderful. I truly enjoyed it. A story of Family, perserverance and tragedy. Initially it was difficult to understand the written text which is written in an old language but eventually one gets familiar with the method of the words and the story unfolds. A classic for good reason.